Add some colour to your personal style with a pair of cheerful socks from Henrik Vibskov. Meet the winter wearing a pair of long knee-length or ankle socks in a variety of great checks, argyles, plaids and stripes. All socks are one size only and unisex. 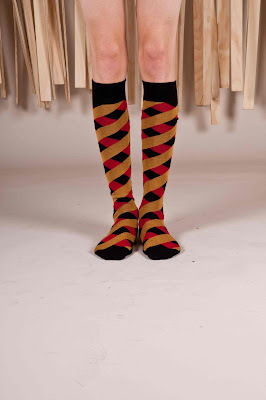 The socks can be found in all our stores as well as online.